Red kites poured in today so dare I say that we are back to normal? Well, maybe, although Sunday is forecast to be a dry day, Monday is scheduled to be very wet so I'll hold off from any cheering for the time being. The occupants of the rehabilitation aviaries took quite a battering from the weather in the morning so the netting that was taken down yesterday has been put back up as it gives the birds shelter from the wind and rain when they perch behind it. Apart from one very heavy shower this morning we had a dry afternoon with light rain coming back towards 4pm so every one at the farm saw lots of birds up close. The kites were on time today so that helped my blood pressure stay somewhere like normal, unlike yesterdays disappointments. While it again rained most of the earlier part of the afternoon it was very light drizzle so the crows were happy to fly into the arena and these were quickly followed by good numbers of red kites. Tony Cross helped with mixing cement, and carrying concrete blocks for repairs to the rehabilitation aviaries this afternoon. Rats(!) appeared to have dug their way through a concrete block wall into the aviary at several points. We have used a mixture of rough concrete and glass to repair the holes and have added a row of blocks for the whole width. With so many raptors in the area, and a few feral cats as well, we've not been troubled by vermin in recent years so this was a nasty surprise. We are now confident that the feathered occupants are safe and that the threat from the rodents is over. Our builders have completed a revision of an underused area down at the hides. This has now opened up a photographic hide for those less able or wheelchair bound. I hope to add a removable false front tomorrow as this would also allow those who are able to stand upright to use the hide. More rehabilitation, plus today was a very wet one.. 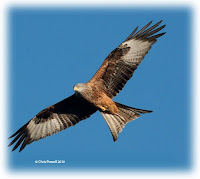 The latest kite to have been rehabilitated took to the skies again on Tuesday, I fail to get any photographs this time but the bird flew away strongly - Z1 is on its tags so it will be looked out for at feeding time. Another red kite in trouble arrived yesterday. It was not able to keep anything down but an antibiotic injection has helped and the kite is eating today. I had managed at last to bring images from the aviaries to our kite centre this morning but that fell to gremlins before the afternoon so audio/visual cabling will now be used to bring back the images while the existing network cable will be found other work around the farm. I hope to get this up and running by the weekend. This afternoon started off quite well with the rain forecast keeping away for the most part, until that is, the meat was put out for the kites. Thats when the intensity of the rain really increased and it continued for the greater part of the remaining afternoon. This alone would not usually be a problem but today the crows steadfastly refused to come in until 5:40pm. 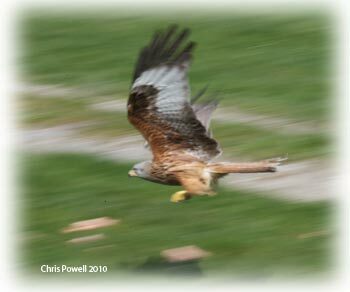 This of course meant that the vast majority of our visitors today saw only distant red kites, and nothing of the usual spectacle, as few could wait over 2 hours without the certainty that they would see what they had travelled to Gigrin for. It's been a very stressful day! 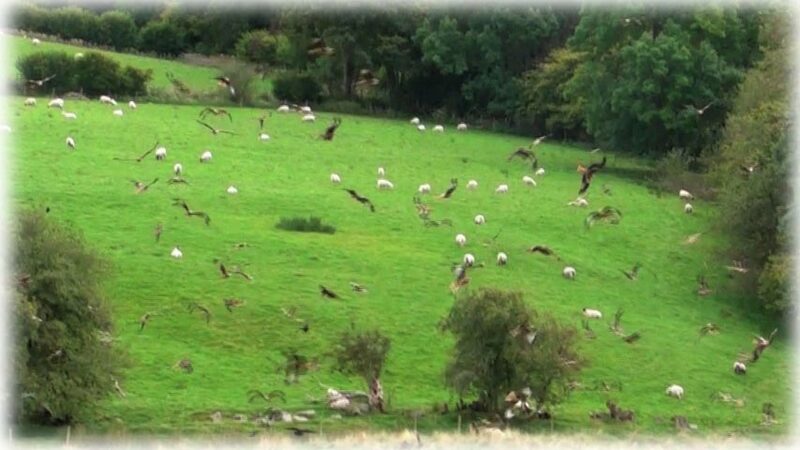 Tomorrow the forecast is for light drizzle at worst, and a portion of the meat will be put well back in the field to give the crows a little more confidence with the hope that things will return to little more normality. Oh, for the return of the rooks! The rehab unit has been busy this week. . 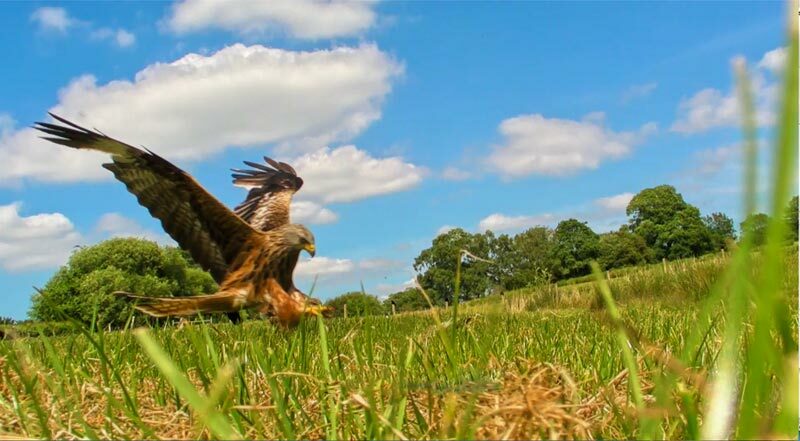 The rehab unit has been busy again this week with the release of the now fit young kite here on the farm, and another being brought in, again because of being underweight. With around 250 - 300 red kites presently taking advantage of the feeding centre it has been almost a daily occurrence that the kites have been late for lunch. This has been caused by a lack of rooks. 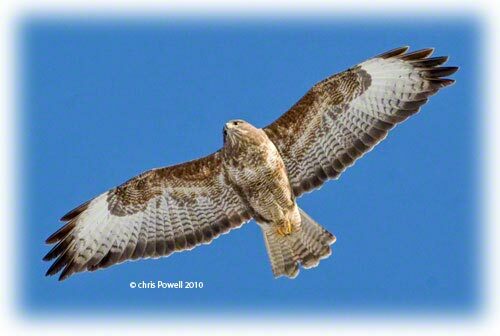 These birds have headed for the hills for the remainder of the summer so leaving magpies, carrion crows, or buzzards to show the kites that the food is going to be taken if they don't hurry. Today was no exception with a heavy rain storm coming in just as the food was put out. The rain saturated the flight feathers of the birds so it was inevitable that there would be a wait and sure enough it took almost 30 minutes for a magpie to descend onto the field, quickly followed by crows, and then a hundred & fifty or so red kites. The 'pecking order' went a little awry as heavy showers punctuated the afternoon so the following waves of 100 - 150 younger birds had to wait for both dry spells and crows to again land on the field. A note for our disabled visitors. As August is the busiest month of the year it would be wise to aim to be here by 2pm if a place is to be found in the hides. Arriving later will find that there are already cars taking the available pull ins by the hides and space will be short too.